The SHUNTASSISTANT® 2.0 is the further development of the proven SHUNTASSISTANT®. The SHUNTASSISTANT® 2.0 is an efficient add-on valve for the treatment of overdrainage complications. 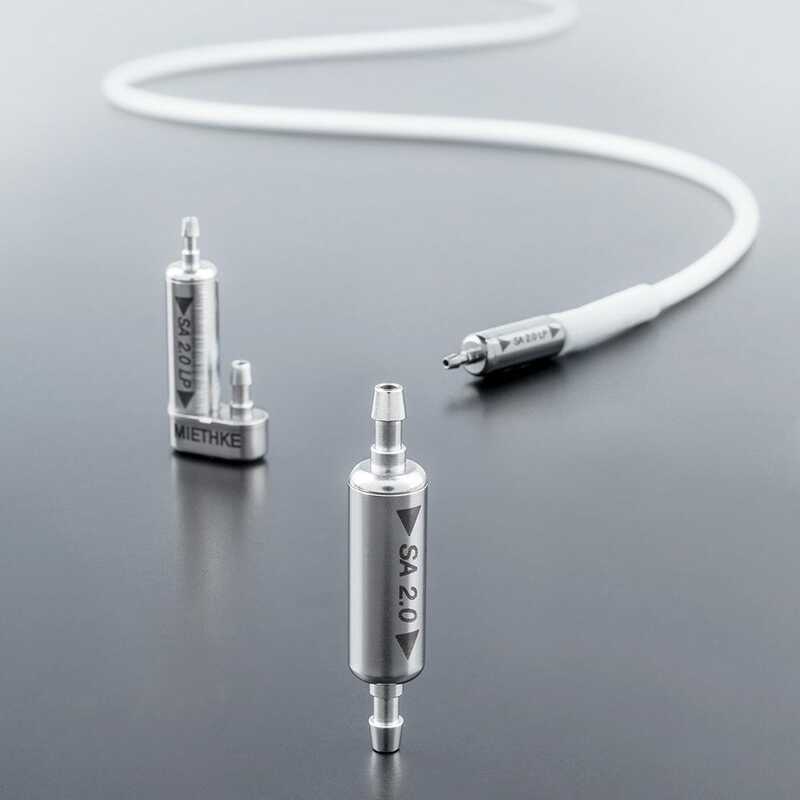 As overdrainage protection, it can be combined with differential pressure valves (even adjustable), either as initially solution or as a secondary add-on device for patients with existing complications. The SHUNTASSISTANT® 2.0 combines ease-of-use with 25 years proven gravitational technology. The slim, cylindric design enables a fast and easy implantation and is suitable either for adults as well as pediatric hydrocephalus treatment. Depending on the body position of the patient the SHUNTASSISTANT® 2.0 gradually adapts the opening pressure automatically and counteracts possible overdrainage. - Gravitational technology: prevents over- and underdrainage complications and meets the physiological needs of the patients. - Simple implantation: small design due to titanium construction. - Suitable for revisions: can be combined with differential pressure valves (even adjustable). Because the opening pressure of the valve depends on the position of the patient, theSHUNTASSISTANT® 2.0 must be implanted parallel to the body axis. Depending on the height and other properties of the patient, 6 pressure settings are offered, which should be chosen accordingly (see pressure recommendation).